Cardiff batted first and were bowled out for 178 runs in the forty over game. A total which the Marsa batsmen were confident of making. A fine spell of bowling from Justin Brooke had him take a five wicket haul. 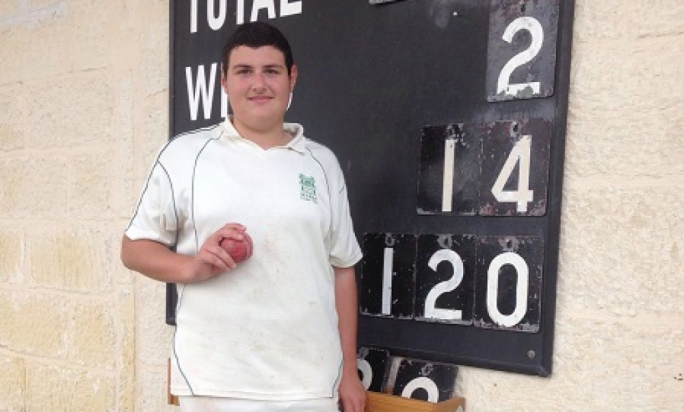 Upcoming Adam Krishna took two wickets while Malcolm Crabbe, Andy Naudi and Ronnie Sacco all took one. Only one wicket was bowled while the others all caught, a good fielding performance with John Grima and Malcolm Crabbe taking three each, two were taken by Nowell Khosla and one by Andy Naudi. For the visitors, T.Williams top scored with forty nine runs, B.Beaumont thirty runs, N.McAndrew twenty four runs and G.Thurstance twenty runs. In reply the Marsa team had a steady start from the openers Sarfraz Ali (eighteen runs) and Ronnie Sacco (nineteen runs). Then there was a top order collapse with five wickets falling for seventeen runs. A.Kidwell doing the main damage taking two of the wickets. Justin Brooke followed up his fine bowling by also top scoring with thirty one runs, Andy Naudi making twenty one runs. 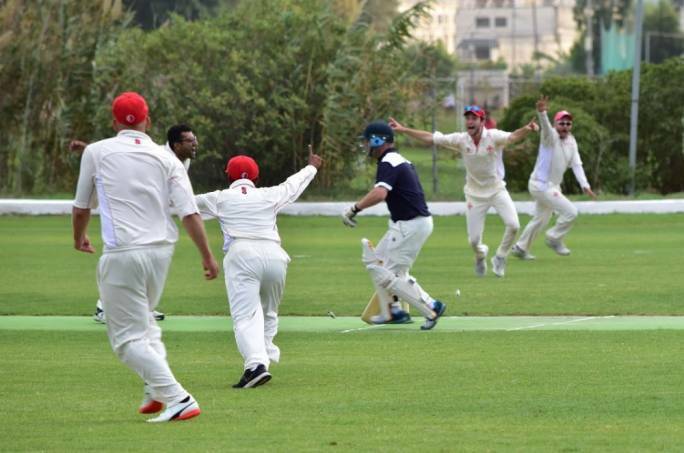 Nowell Khosla was going along nicely guiding his team to victory until he hit a very hard straight drive , into the legs of his last batsmen's legs who had to retire and the Marsa team fell thirteen runs short of their target. B.Beaumont, John Carpenter and B.Geeson-Brown also took two wickets each in the win. The home team lose the game and the series three to one. On Saturday a practise game was played to prepare for the next new touring team Hunningham C.C who will be playing a two game series. 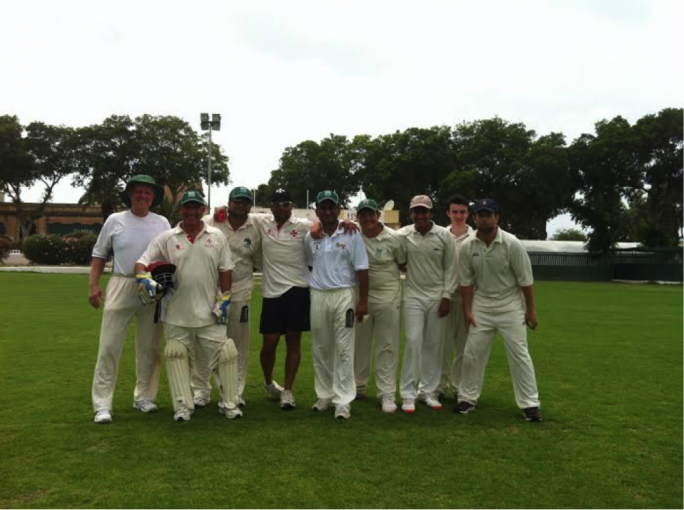 A Captain's XI played the Chairman's XI. The Captains team batted first and posted a mere hundred runs. Highlights of the batting came from the blade of Adam Krishna who whipped twenty three runs from nineteen balls which included five fours. 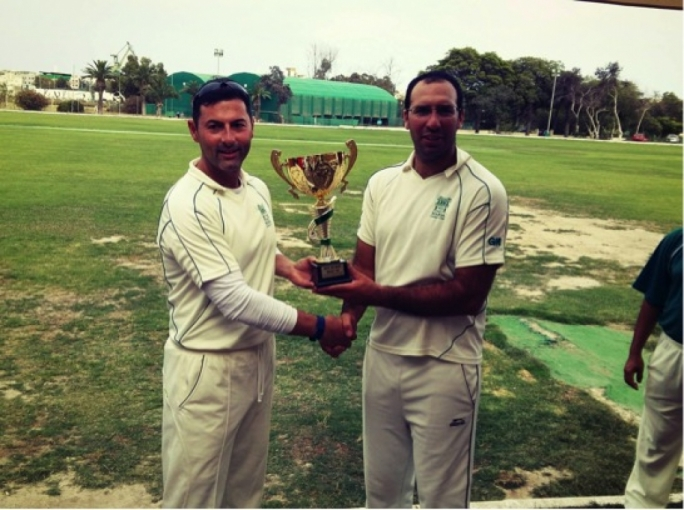 John Rusher scored eighteen runs while Tony Azzopardi made nineteen. Bikram Arora top scored with twenty four. Joy Ghoseroy was the main wicket taker with three. The Chairman's team cruised to victory with a fine half century from Malcolm Crabbe and twenty five runs from Mat McKeon. Zubair made eight runs and there were twenty extras. Last Monday Pembroke Girls secondary school were presented with Kwik Cricket sets after participating in the MCA cricket day.